On our journey through the world of Salsa, we want to take you to the Colombia’s city of Cali and its Feria de Cali. Let us know in case you ever want to experience the live over there, Salsa-Trips will find the best travel deals and provide information from some of our great contacts, like DJ Ara or DJ El Chino. Giving an impression about Alexander Abreu, we continue with a portrait of Adolfo Indacochea. Then DJ Mambito and DJ El Chino provide an insight to the latest music trends from their perspective. Last but not least you will find a selection of the best Salsa Festivals during the next two quarters. 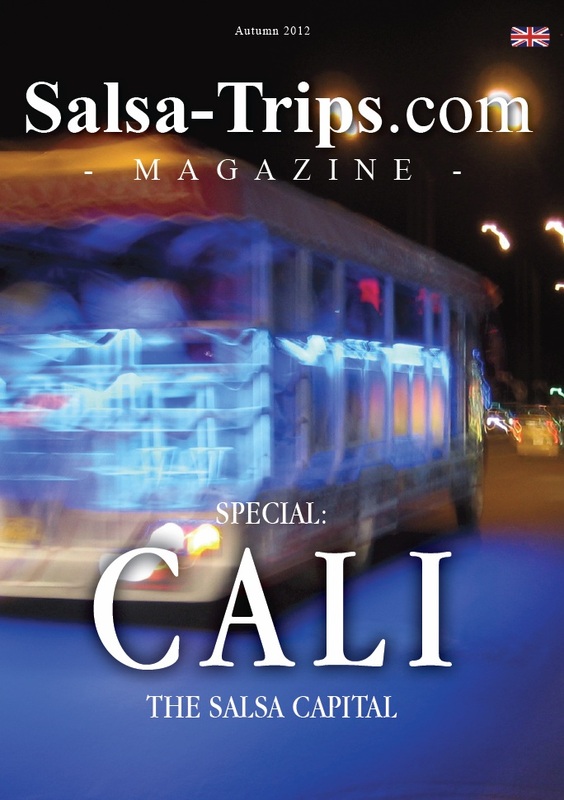 Additionally, the magazine can be read online on www.Salsa-Trips.com/Magazine in English and German language. Inspired by the great atmosphere of the 1st Freiburg Salsa Festival, Salsa-Trips proudly announces the 1st Frankfurt Salsa Festival 2013 on March, 8th and 9th as “warm up” for 2014 – check our latest news on the website and don’t miss your friends at this great event! Thanks again to everybody among our readers for your interest and loyalty!